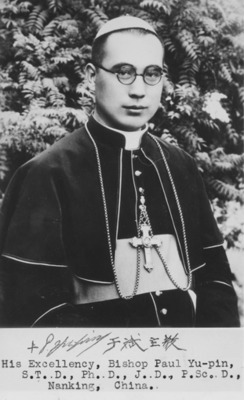 Archbishop Yu Bin on the occasion of his consecration to Archbishop. He was made a Cardinal in 1969. Nanjing, China. B/W Photo.